Local food co-ops have started popping up around the nation to support farmers, bring organic food to your doorstep, and reduce everyone’s carbon footprint. But is there one local to you? If you’re living in the Dallas Fort Worth area, there’s a food co-op just around the corner! Your Health Source is a food co-op run by my new friends Monica and Jim. Every other Saturday I roll out of bed and drive down my street about 6 blocks to pick up 15 to 30 pounds of fresh, organic fruits and veggies! I drop off my check, cross my name off the list, and pick up my veggies – it’s that easy. Now, I can’t eat 30 pounds of fruits and vegetables in two weeks so I share my basket with 3 other neighbors. We have all been participating for the last 9 months, and so far – we love it! There is always a wide variety of items from staples (onions, potatoes, bananas) to more exotic items like sunburst squash. My favorite part of having the co-op is that it has forced me to try vegetables that I probably would have never bought in the first place. Every time I get an odd veggie, the co-op sends a fun recipe to my inbox, so there’s no guessing involved. One recent accomplishment was finally finding a beet recipe that was enjoyable. I’m sorry, but beets just taste like dirt! Carter made a tasty beet risotto that was five-star restaurant worthy. I would have never known that my least favorite veggie was riddled with possibilities. I usually pick up my basket of produce around 9am, but how does it arrive so early in the morning? Volunteer and helpers sort the food between 4-5am, which means farmers and local suppliers have to have trucks unloaded by 4am! How these wonderful people get themselves up this early – I do not know. But thank you! In true reporting form, Carter and I made it to Fort Worth to watch the sorting this last Saturday morning. Jim was nice enough to meet us and show us how the process works. The food arrives in boxes and each worker weighs the produce and places them in designated areas to be taken to pick-up sites (that’s where I get my basket). Saturday is a light day; around 150 families are provided food. Tuesday, however, provides food for 700-800 families. It’s suppose to be a site to see! From the sorting site, each load is taken to the pick-up sites where it’s then put into each families’ basket to be picked up later that morning. The food co-op was started about 10 years ago when Monica and Jim made the decision to eat organic and raw foods. Their friends started taking notice and the couple began supplying items for others – Your Health Source was born. Monica says the hardest part of running the co-op is sourcing local produce. There aren’t many farmers in this area that supply certified organic fruits and vegetables, so sometimes items have to be shipped in. Life also has unexpected events, like the mushroom supplier hitting a cow on the 3am trip down from Oklahoma (you’re lucky you got mushrooms this week!). If you’re interested in joining the food co-op here’s what you need to know. You can receive a basket of food every other Saturday or Tuesday (it depends on which site you choose). Each basket has around 15-30lbs of organic food (usually closer to 30 lbs) and costs $50. If you don’t need a full basket, consider splitting with a neighbor or friend. Otherwise, there is a $27 option for a half a basket. There are over 55 local pick-up sites in DFW and the list is growing. For more details or to sign up, go to Your Health Source. For those of you who already participate, please leave a comment about your experience, favorite part, or maybe you have a great story about your kids trying new foods. I would love to hear from people who love the food co-op as much as I do. ← Menu Labeling for Convenience Stores? The beet risotto turned out great! We also made kale chips by lightly coating kale leaves with olive oil and a dash of salt and pepper. Then bake in 350F oven until just crispy. We have loved the co-op for almost three years now. Shen we became foster parents last year, I gave it up for a few months, not knowing how life would look after getting more kiddos (we already had two bio kids). Then I realized I couldn’t live without my basket of love :). A friend asked me what my 50 points of joy were–little things that can get squeezed into your life on a daily basis that give you strength as you serve others. Towards the top of my list is the co-op. I feel so nurtured by all this yummy food and get to nurture my family with it also. I started using the Co-Op in July. It was so easy to get started. I share the order with my daughter’s family. My favorite new veggie so far is kale. MMM Iove it. I’ve been a member for two years now…love it! 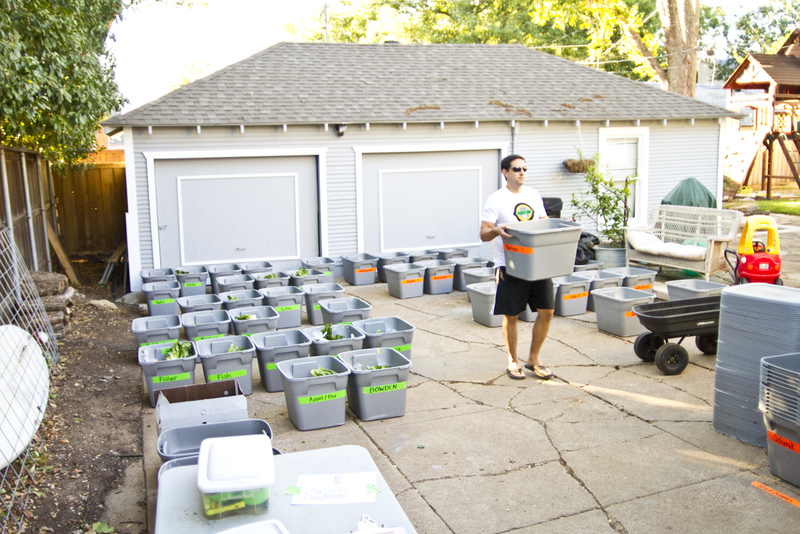 BeforeI joined, it was a chore driving far and wide to find organic produce. The service is great! If something’s not quite right with the produce, they work to find replacements in the next batch or so. Thank you Monica and Jim for making my life healthier and easier. Love the co-op and I thank the organizers too; Monica, Jim and EVERYONE; especially those at the pick up locations! Two years now and we’ve always been pleased. 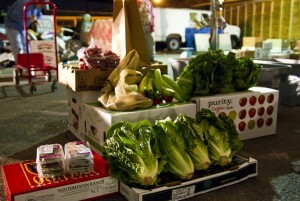 Sure cuts down on driving around trying to find organic produce and it costs much, much less! Also t’s local or somewhat; Mexico (avacado). The best part, it’s what’s in season; what your body system needs when it’s time. We’ve also tried some fun recipes with beets, cabbage and bok choy. No worries, there is plenty of “regular” food and if you don’t like something, you can trade it out for something you do like, by checking the ‘swap box’ on site! We love the co-op! I really wonder how we ever made it without it! We joined just after the birth of my second child. Now, we have three, and one of my favorite parts has been serving my children all these yummy fruits and veggies! From pureeing it for babyfood, to serving it raw in bite-size chunks, we have all been introduced to so many new flavors. Thank you Monica and Jim! We have been members for several months now and think it’s absolutely great! It’s difficult to find good organic produce at area grocery stores, so it’s nice that we can get it through the co-op. Love it! Thank you for such a detailed story! Our family of 7 has been participating in the Your Health Source co-op for over 10 years – since the day it started. The food is *fantastic*, well-priced, with lots of variety & oh so very convenient! And I can’t say enough about Monica & Jim – and the whole Brown family. This is one of the best run businesses I’ve ever seen! The Browns love to help people on their life-journeys, and their generosity and professional courtesy is top-notch! Thank you Jim & Monica for helping all of us live healthier & happier lives!! From one Bird to another, you are welcome! I’m happy to share such a great story with everyone! Thanks to everyone for their inspirational comments! I just love the co-op. I have been using it for approx. 3 years. I tell everyone I can about the co-op. I especially share with people who are fighting cancer. My husband was diagnosed with cancer and we researched the evidence of organic fresh veggies and fruits. He was actually healthy despite his cancer. We made a lot of green smoothies and different recipes. I love the fact that you can order extra fruits and vegetables, dry goods as well! Monica also offers classes for healthy cooking. I feel privileged to be apart of something so good! I too have been continuing to get my veggies and fruit through the co-op, because it introduces me to a variety that I would usually not have bought in the store. It took me a long time, but I now look forward to my share and sometimes order extras and some items from the dry good order sheet. This has been an amazing transformation in our family’s eating habit. Now I am curious aoubt the beet risotto. Thank you Monica! We have been participating in the coop for a couple of years now. I love the freshness and it’s so flavorful. I know I wouldn’t take the time to pick out these fruits and veggies at the grocery store, so we have a greater variety in our diet. Everyone is super friendly and it is so easy to get started! We have been enjoying the co-op for almost three years now! The food is SO yummy, GREAT variety, and it creates a WONDERFUL local community of friends. I’m so thankful for all the hard work that goes into it. It’s a joy to be a part of something like this. And it’s FUN–fun to try new and yummy recipes and finally enjoy beets and leek and chard and kale and all the things I was never introduced to before. It’s worth every penny and every minute of time. Thanks to yourhealthsource for great service! We joined the co-op after learning that my husbands Idiopathic intracranial hypertension (pseudotumor) was being aggravated by the food that we were eating. We have been vegetarian for over a year now and vegan for about 9 months. The wonderful food from the co-op has helped my husband be headache free for over a year now! I always look forward to my Tuesday morning pick-ups! Like the other people who have commented, we have tried new foods and new recipes that we may not have tried previously. This service is wonderful! I’ve been using the co-op for almost a year, and I absolutely love it! I HAVE to eat lots of organic produce when a whole bin full of it is delivered to me every two weeks. I’ve learned to prepare a lot of new veggies and I always have healthy snacks on hand to feed my family. I have been with the co-op almost a year. It is just amazing! It is so super easy to get all the healthy organic foods my family needs. I am so grateful to all the volunteers for making this all possible. Our family has been in this co-op for almost 7 years now! We also have a fantastic host! When we moved out of the DFW area almost 3 years ago, I tried another organic produce co-op, but it didn’t fit our needs. I now drive 1 1/2 hours each way to pickup our food…our host is that great and this co-op is that good! THANK YOU Jim & Monica, base site workers and all the hosts! I have been a part of this co-op for about 9 months and I love it! I have made so many changes to my diet and lifestyle in the last year and my bi-weekly Saturday basket keeps me on course. I need that Beet Risotto recipe too. The beets keep going bad because I can’t figure out how to prepare them. 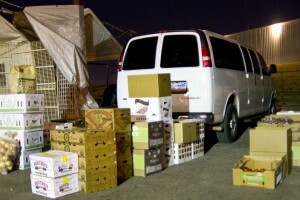 I had no idea people had to get up in the middle of the night to get our produce to us. Thank you! The co-op has been so good for our family. Before I wasn’t much into fruit and never thought to buy it at the store. Now our whole family enjoys a wide variety of delicious fruits. I definitely reap the benefits of great food from the co-op. When Judy’s enjoyment of cooking is coupled with fresh organic(healthy) fruits and vegetables, we have some mighty tasty meals! She also applies ideas from her “cooking shows” to the equation, and the result is one happy husband!! We also love the co-op and the chance it gives us to try great organic produce. I especially enjoyed watching my kiddos crunch into some fresh radishes last week and seeing my two year old finish the whole bowl of organic raspberries. Now my family is spoiled and when we have to buy conventional produce we are often disappointed with the flavor. We also love the price and quality of the whole grains that we buy from the co-op. A great solution for organic whole foods at a reasonable price! We have been in the food co-op for almost two years and love it. We have tried many different veggies that we never would have purchased at the store. Are the fruits and veggies grown by local organic farmers–Texas farmers? I would like to participate in the co op. Please let me know what I need to do to get started. Sorry for the slow reply! Please visit http://www.yourhealthsource.com to find out more about the co-op!